I saw you use 調子 in the sentence 体の調子が悪いとき、医者へ行きます to mean "When I am not feeling well, I visit the doctor." By that I'm guessing that 調子 means feeling, but I've also heard 気持ち and 気分 used in similar ways to mean feeling. Example: 気分はどうですか to mean "How are you feeling?" 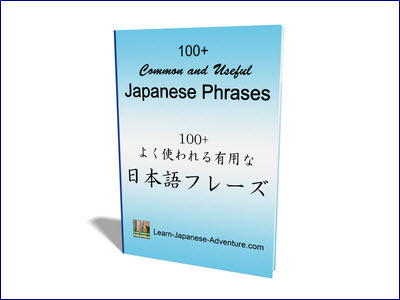 Similar to other languages, many Japanese words contain multiple meanings. Some of them may have the same meaning when used in certain situations and are interchangeable. However, they may have different meanings when used in other situations. Some words may contain meanings which make their characters irreplaceable. A lot of the time it depends on the situation in which certain words are used. 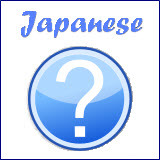 Therefore, 体の調子 refers to the "condition of the physical body" in the example given in your question 体の調子が悪いとき、医者へ行きます. The shorter version of 体の調子 is 体調 (たいちょう - taichou). Both 気持ち and 気分 can be used to describe how a person feels. However, there are some slight distinctions between them. In general, 気分 is more often used to describe a physical condition, something you cannot change at will or control e.g. a medical condition that is worsening. On the other hand, 気持ち describes an emotional state, something more related to the a person's state of emotions. When you say 気分がいい or 気分が悪い, you would mean "I feel well (physically)" or "I feel ill". While 気持ちがいい or 気持ち悪い can mean the same thing (feeling well or ill), those two expressions generally mean "I feel great (emotionally)" or "I feel disgusted". throughout your own "mind and body" to a certain extent or overall feeling. Let's use an example to explain this difference. When your shirt is soaked (e.g. because of rain), you start by feeling uncomfortable (気持ち悪い), and sometime later, you feel ill e.g. catch cold and falling sick (気分が悪くなりました). 気持ち悪い is the initial discomfort caused by the wet shirt, whereas 気分が悪い is the bad feeling that persists after that. You can also use 気持ち to express your feelings towards someone (彼に対する気持ち). However, you cannot use 気分 for this context. So, never say something like 彼に対する気分. You use 感謝の気持ち to show a feeling of gratitude. In addition, when you say 相手の気持ちを考えています, you are being considerate towards the way other people feel. This cannot be expressed using 気分. When you are giving a gift to someone, you say ほんの気持ちです, meaning "Just my (thanking) feeling". The gift represents your 気持ち, or your thanking feeling towards someone. Sometimes there are situations where you can use either of them. For example, when you are feeling bad due to seasick, you can say 船に酔って気持ちが悪い or 船に酔って気分が悪い. 気持ち has many other meanings. I have listed down some of them below together with some examples. 2. 感じ (かんじ - kanji) - sense, feeling, impression, atmosphere, etc. It comes from the verb 感じる which means to feel something. You can use the phrase いい感じ to compliment music, art, idea or other abstract thing. 3. 感情 (かんじょう - kanjou) - feeling, emotion, sentiment e.g. 彼女は感情を顔に出さなかった - She showed no feelings (emotion, sentiment) at all. 4. 感覚 (かんかく - kankaku) - sense, physical feeling e.g. 足の感覚を全く失う - lost all feeling in the leg. 5. 感触 (かんしょく - kanshoku) - touch, feel, sense e.g. 柔らかい感触の服地 - Clothing fabric which has a smooth feel. 6. 気がする (きがする - ki ga suru) - have a feeling, feel like ~ e.g. 自分がこの世で一番幸せな者のような気がする - I feel like the happiest man in the world. Comments for What is the difference between kimochi, kibun and choushi? Hi Sophie, you are most welcome. Sorry for the delay to reply your question as I need some time to research on the topic. 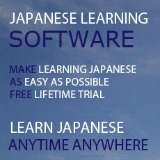 It's refreshing to see that as I learn Japanese most of the questions I ask have been answered already. Thank you. Hi, you are most welcome!